Visually, Chi has an Asian feel as you are taken to the Himalayan mountains. With relaxing music, you join the fire and wind spirits of Chi and Mow to find a lot city of treasures. Symbols on the reels include carp, cups, fans, flutes, gourds, jade stones, lanterns and lotus flowers. There’s also a wild symbol that replaces all symbols bar the bonus scatter. With win both ways payouts, you can win from combinations from left to right and right to left. Look out for the fire totem Chi appearing as he will generate fireballs which result in between 1 and 6 wilds being added to the reels. In the Free Spins feature, all wilds are sticky (more details below). When wind totem Mow hit the multiplier gong-gong, you will get a multiplier from 2x up to 5x. In the Free Spins feature, there’s a sticky progressive multiplier which increases by 1 every time Mow appears (again, more on this below). When it comes to bonus features, Chi comes with 2. Firstly, you have the Stairway to Fortune Bonus Game feature which is played when you get 3 Yin yang bonus scatters. Chi and Mow come together to try and reach the top of the bonus game – the Fortune Reels. Chi will draw a random number between 1 and 6 – Mow will move the corresponding number of steps along the cloud path where the multipliers increase. The journey will continue until Chi draws ‘Collect’ – the multiplier held by Mow is then paid out. Then a spin on each of the 5 reels is awarded with all the collected multipliers added on top. If you hit the arrow on the uppermost reel, you will add the final 10,000 multiplier to your score. This can result in a payout of 12,500 times your total stake! Chi also comes with a Free Spins feature – this is played when 3 or more free spins symbols appear on the reels. 3, 4 or 5 free spins symbols will reward you with 10, 15 or 20 free spins respectively. The good news is that you can retrigger the feature indefinitely for unlimited free spins. Now, all wild symbols generated by Chi are sticky throughout the feature – a first hit on Mow will give you a progressive multiplier which begins at 2x and can reach up to 5x. It increases by 1 every time Chi appears. 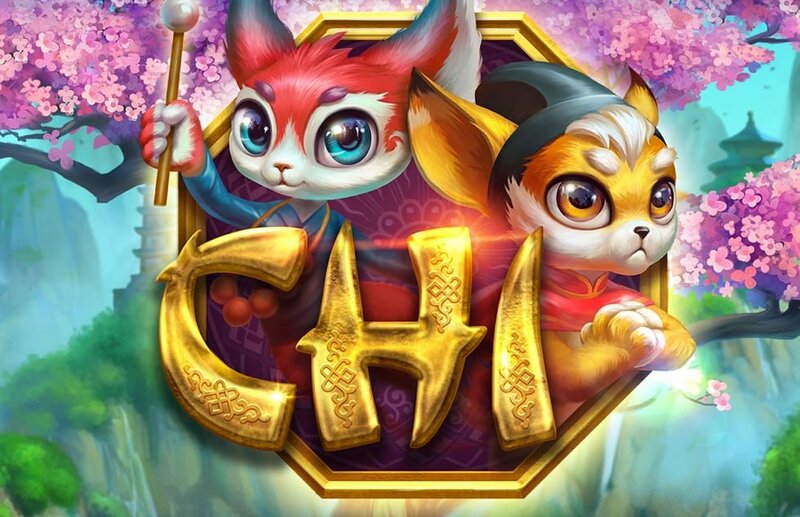 Chi is definitely unique in the way it looks – the gameplay is innovative and has the potential to pay out quite nicely in the base game and the 2 bonus features. The biggest wins will come from the Stairway to Fortune Bonus Game feature as there’s a mind-blowing 12,500 times your stake to be won. Highly volatile, ELK Studios has produced another superb slot where the secrets of Chi can take you to heaven. I recommend you try other ELK Studios slots with Ecuador Gold and Sam on the Beach my picks.